Live Animal Labels provide a quick reference for shipping personnel. Air labels comply with the requirements in International Air Transport IATA, ICAO and DOT Department of Transportation. 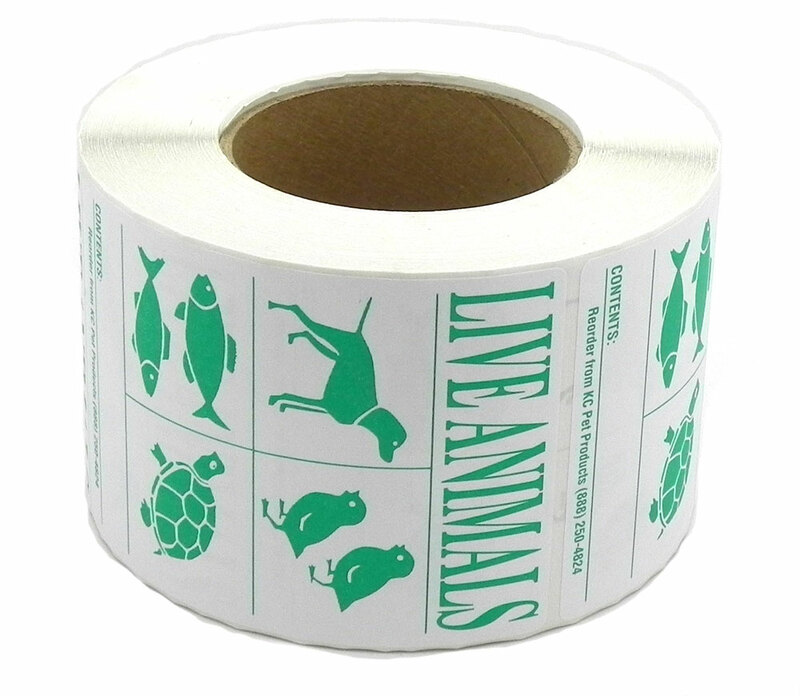 Live Animal Labels measure 3.5" x 5" Green on white paper and are sold in rolls of 500 labels. each label measure 3.5" x 5"